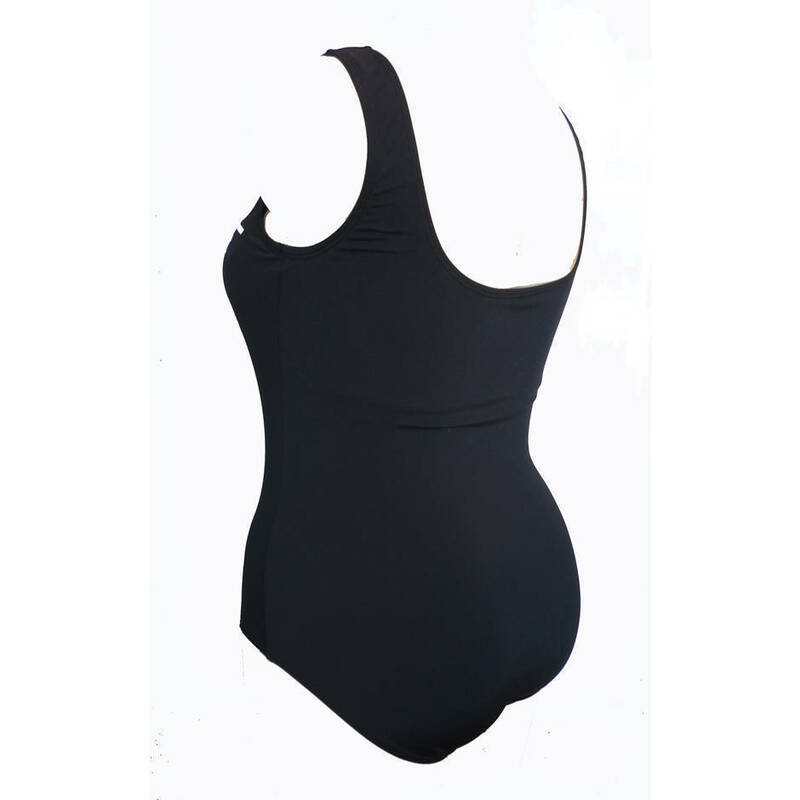 Description:Chlorine Resistant One piece with Gathers - Black with White Contrast Sizes 10-24. 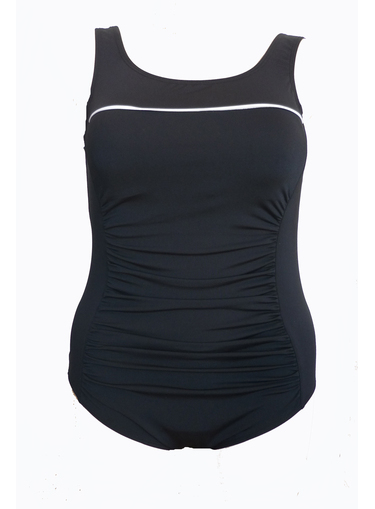 High front bodice with white contrast piping. 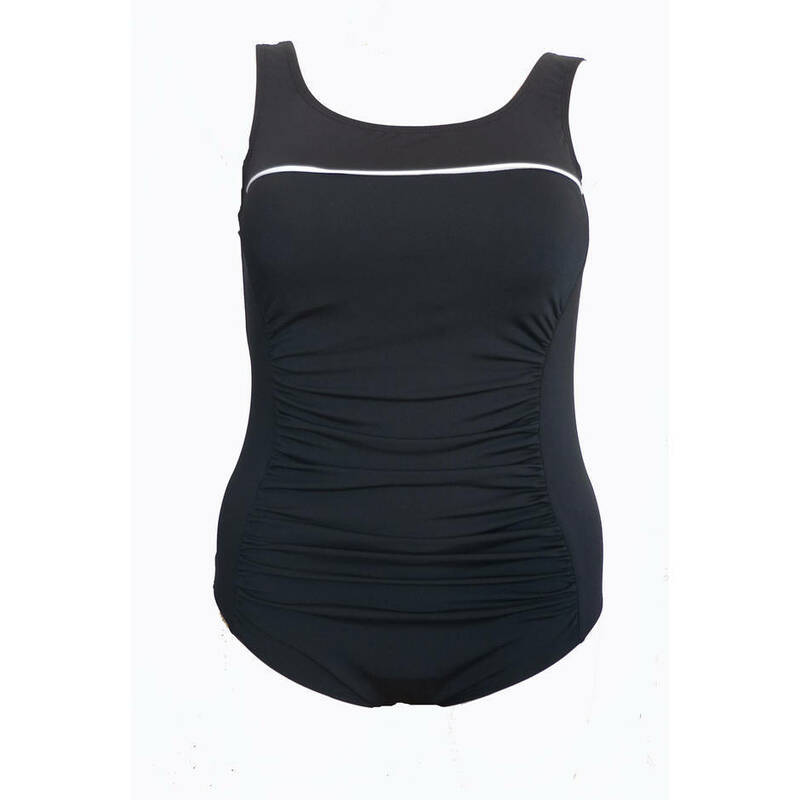 Front gathers slim the silhouette and hide lumps and bumps. Soft cups for good support. Pockets both sides. 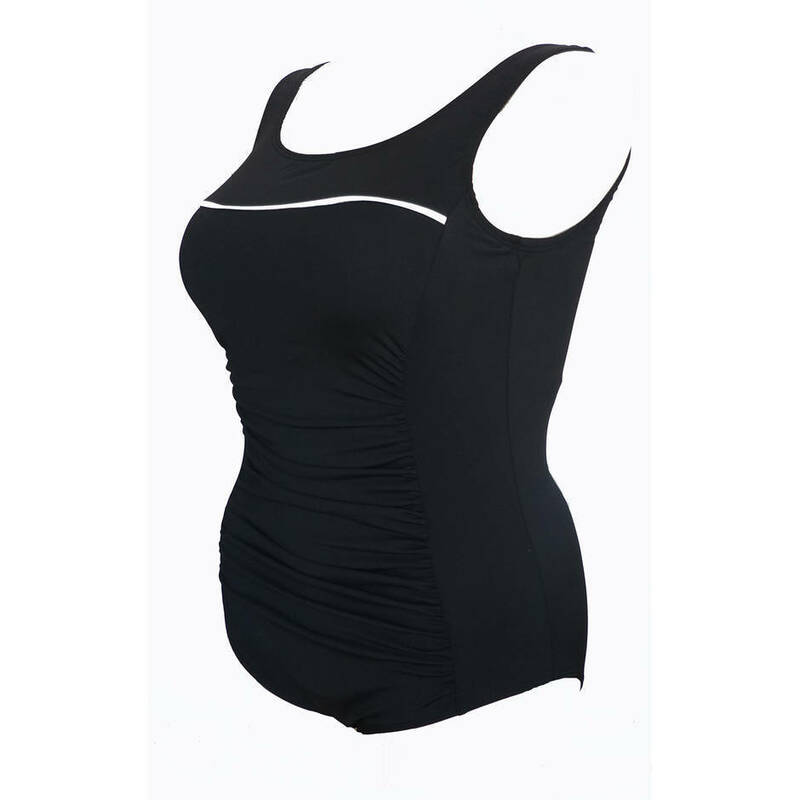 Comfortable and easy to pull up. 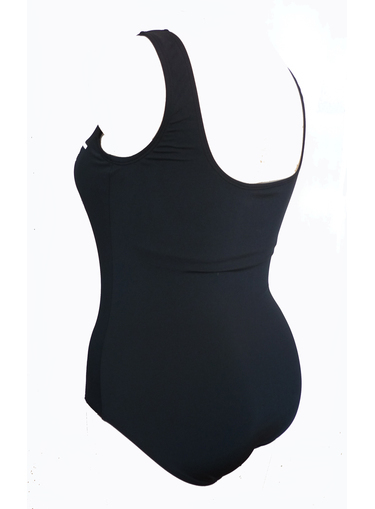 Moderate back and leg line.Care Instructions:Cool hand wash as soon as possible after use. Use a mild detergent, rinse in cold water and dry in the shade.